The winter is here and with it so is the dreaded cold and flu season. 2017 was a record-breaking winter for flu and cold outbreaks, cited by the Centers for Disease Control and Prevention (CDC) as being “high severity” across all the age groups. With the harsh winter weather starting to dig in its heel and given last year’s intense breakout of flu and colds, business owners of all industries and sizes would be wise to implement some cold and flu prevention strategies in the workplace. Prepare your business for the long, cold months ahead and help minimize the risk of staff sickness and subsequent business downtime, with the following cold and flu prevention tips for the workplace. In a feature about how workplaces can prepare for the upcoming flu season, Caroline Hernandez, a senior human resource specialist for Insperity and a former business owner, advises companies to educate employees about the pitfalls of flu before an outbreak occurs in the workplace. Hernandez notes how some members of staff may not be fully aware of the potential dangers and complications the flu season can bring and how infectious the illness can be. “Managers should consider educating employees about the upcoming flu season through employee email blasts, posters in break rooms or lunch-and-learn meetings. These communications can serve as an efficient and easy way for leadership to share helpful tips with staff, particularly around workplace hygiene,” Hernandez advises. Part of educating members of staff about the contagiousness of the flu virus, should include encouraging them to stay at home if they are sick. Instead of playing the ‘hero’ and battling through work when yourself or your colleagues are full of a cold or have the flu, promote a climate at work that encourages anyone who is ill to use their sick days. Depending on what type of business you run, another cold and flu prevention tip for the workplace could be to introduce protective equipment to help prevent the illnesses from spreading. For example, if you’re involved in the medical profession and are exposed to patients, you may want to encourage staff and visitors to wear protective equipment to protect themselves or help prevent passing infections onto others. As WebMD, a leading source of providing credible medical information, acknowledges, staying fit and healthy helps keep our immune systems in good order to stave off flu, colds and other germs. Promote the importance of have a balanced diet and getting plenty of winter C to help boost immune systems in the workplace. If you’re not doing so already, you may want to leave bowls of fresh fruit in the office to encourage employees to eat fruit regularly throughout the day. Stress the importance of getting plenty of sleep and exercise to help stay fit and healthy all winter long. Of course, you should practice what you preach, and whatever you advise staff to do, you should do yourself, to help avoid coming down with the flu or coughs and colds this winter. Another of Caroline Hernandez’s flu and cold prevention tips for the workplace, is to offer flu vaccinations in the office. “Employers may consider partnering with a local health care provider to offer flu shots onsite, making the shots more accessible and possibly decreasing the chances of a flu outbreak at the office. However, it is important to remember that regulations on mandated flu vaccinations vary from state to state. It is best to check local and state regulations before instituting or updating company policies,” Hernandez advises. Not only ensure you regularly wash your hands throughout the day but encourage employees to do so as well by placing hand washing posters in staff restrooms and making the importance of washing hands part of the stopping flu and colds education program in your workplace. 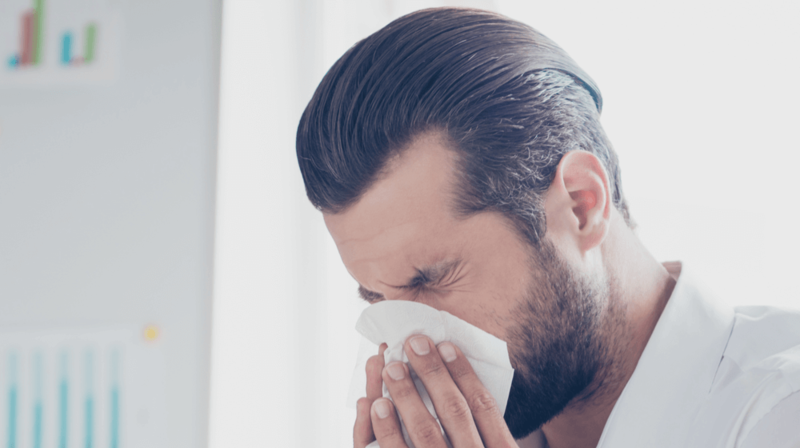 Insperity’s senior human resource specialist, Caroline Hernandez, also recommends business should prepare for the worse during the flu season by implementing a flu action plan or an emergency communications plan in case widespread illness strikes. Such plans, Hernandez advises, should include devising a “project tracker” to help team members prioritize key tasks when colleagues are off sick, or staggering schedules so customer service is not negatively impacted when employees are on sick leave.